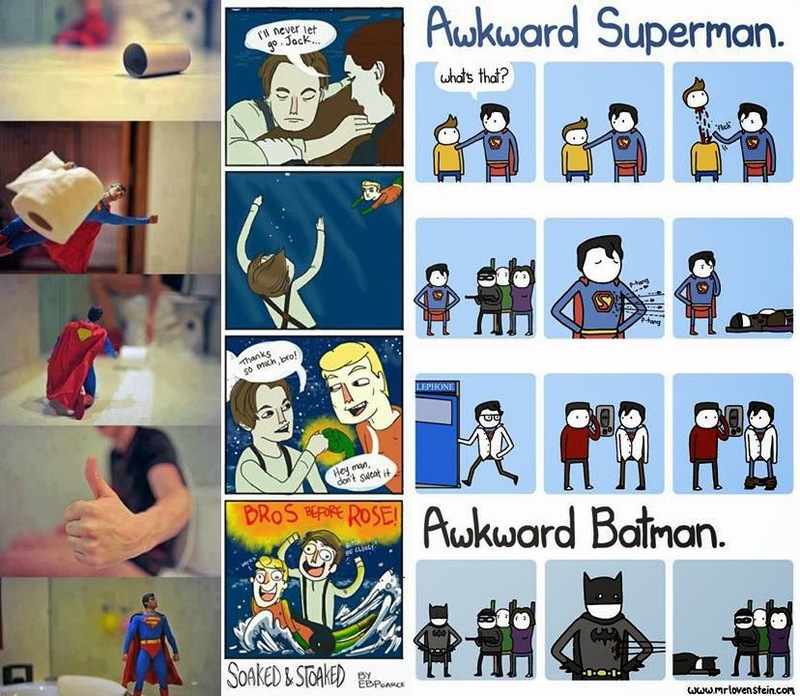 The IADW Facebook page doesn't just tease what happens here on the site, it's also the home of all those comic based jokes and random comic guff you get sent when people can't hear the word 'Superman' without thinking of emailing you about it. You know, the stuff that can't quite hold it's own story, but still is pretty cool. But of course I like that page? Why wouldn't I? Loving that pic of Superman bringing that guy a toilet paper. Thanks Dale! I agree - there's nothing worse than trying to make that last ply stretch because another roll is in another room. I tell ya - it doesn't always have to be Darkseid or Luthor - if the crisis is big or small, Supes has got your back. The other on that series is up today and features Iron Man trying to get the lid of a bottle that won't budge. Now that's a Demon In A Bottle storyline we can all relate too!